PARKERSBURG — A local hotel, its staff and a group of volunteers donated their time and collected donations so many area seniors could have a good Christmas holiday meal this week. The Wood County Seniors Association partnered with the Comfort Suites Hotel in Mineral Wells to help sponsor the Senior Center’s annual Christmas luncheon. The hotel has set up a donation drive in its lobby and the corporate office is going to match their donations with a monetary donation. 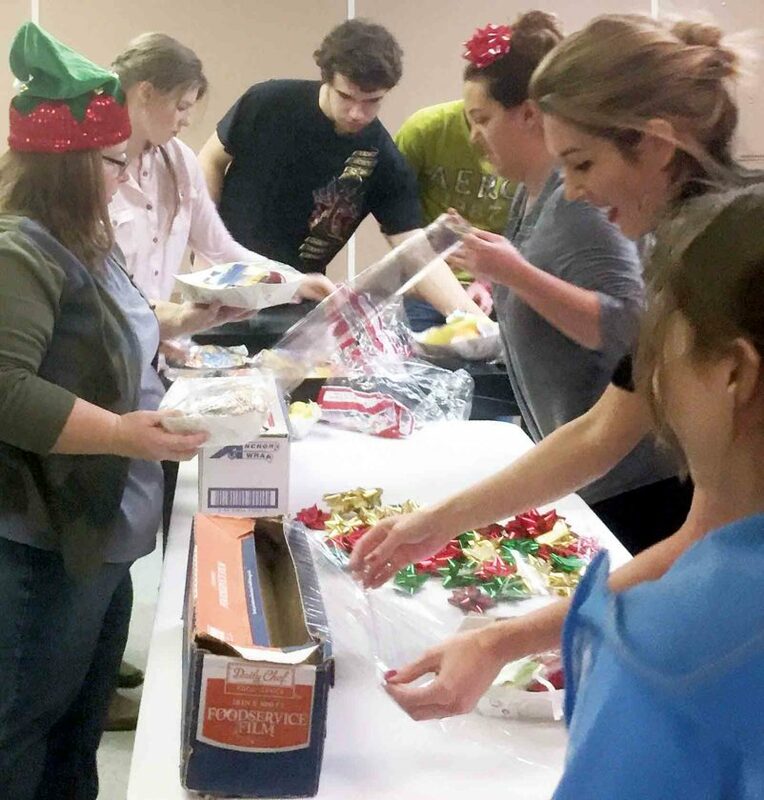 The hotel in Mineral Wells wanted to do something to give back to the community this Christmas season, said Nina Oates, nutrition director for the Wood County Senior Citizens Association. “After reviewing several different organizations, they decided to sponsor the Wood County Senior Citizens Association,” she said.